Peru’s Cordillera Huayhuash rates as arguably the most secretive of our featured South America’s secret wonders. This is a place very few people know exists, and that includes return visitors to Peru. Except, of course, among members of the international hard-core trekking scene. 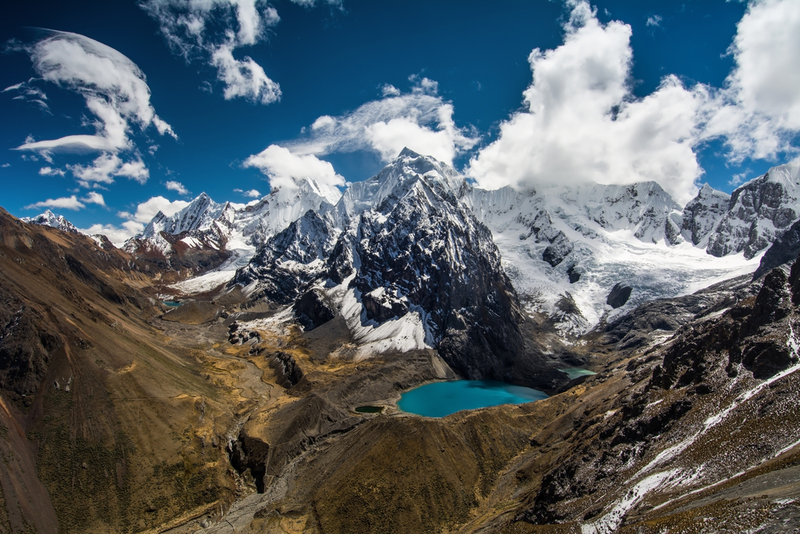 Among discerning hikers, you see, Peru’s Huayhuash Mountain range is known as one of the world’s foremost alpine trekking regions and is one of the most revered hiking destinations of all. The reason it is so coveted is because it is unique, spellbinding and pristine. It is also not overrun with tourists, probably because not many know about it in the first place. Sorry guys…but we’re about to change all that. Despite the fact that the Cordillera Huayhuash lies, or rather majestically rises, at the heart of one of South America’s most visited countries, it is still an unspoilt and uncrowded treasure. Part of a heavily protected Reserve Zone of the same name, Huayhuash boasts peaks of more than 6,500m (two dozen rising above 5,000m) and stretches for over 30km from north to south. A collection of head-spinning peaks, seemingly glued together by a maze of stunningly azure glacial lakes, Huayhuash would have to be one of the most visually mesmerising places on earth, its relative anonymity adding to its allure. This is the source of the Amazon River, the formidable force of nature which has spawned the most biodiverse region on the planet. Some would say this is the birthplace of life on earth, and it certainly looks as spectacular as that sounds. 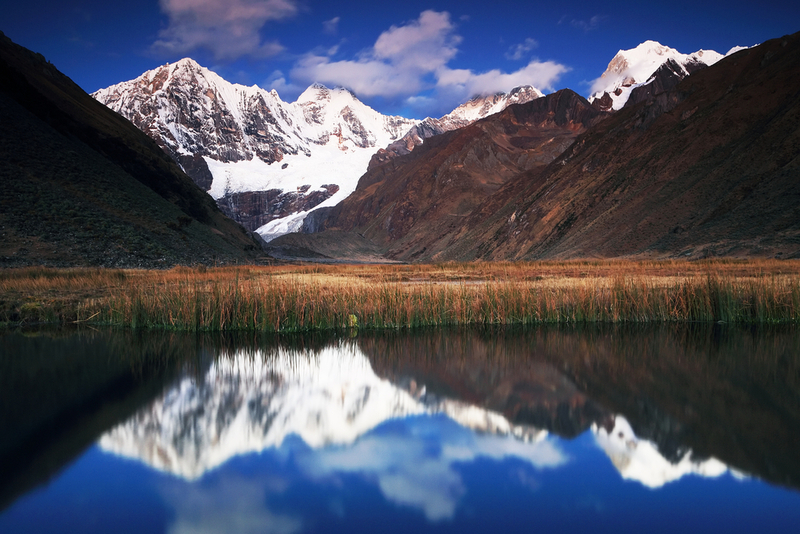 Unlike most other mountain destinations in South America, one does not simply ‘visit’ Huayhuash. The sheer concentration of high peaks, and lack of convenient driving roads means that unless you move around on foot, you simply won’t get to see much of the landscape. If one is to get the most out of one’s visit to Huayhuash, and really witness the magnificence of the place, one must don hiking boots, one must cope with extreme altitudes, and one must walk. For days and days and days…. A serious trekker’s paradise, Cordillera Huayhuash is best suited to experienced hikers looking for an added challenge and an unparalleled adventure into one of South America’s most splendid hidden corners. 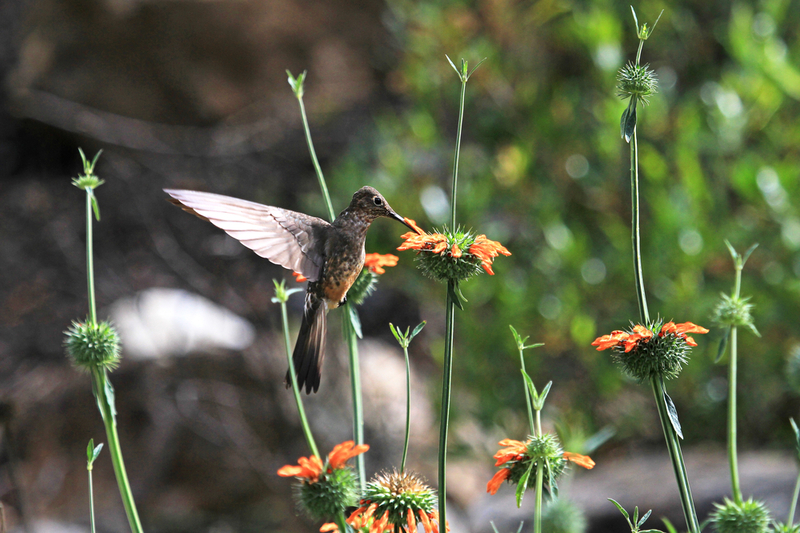 If that sounds like you…then welcome to paradise Huayhuash. There’s some kind of magic which happens at very high altitude, when a mountain range dissects a continent and is framed by an ocean on either side. The colossal melting of ice and consequential erosion of the water creates a spellbinding and totally ethereal landscape. 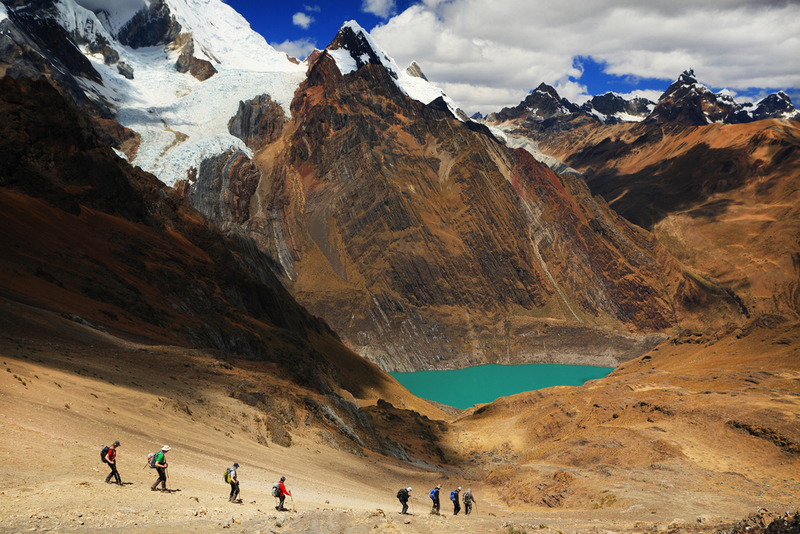 Up here, in the high Andes of Peru, Huayhuash boasts an inspiring number of highlights. 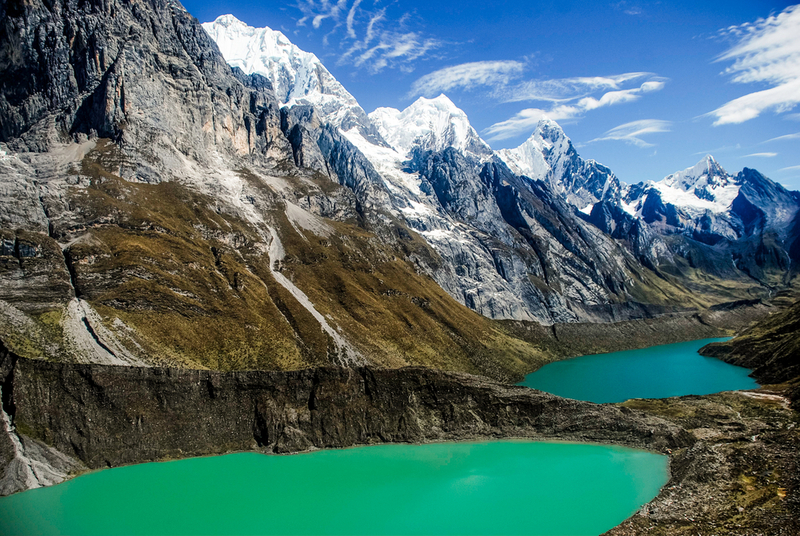 Amazing glacial lakes, like Jahuacocha, are resplendent in their deep sparkling hues. Raging rivers flowing thousands of vertical metres in their mission to feed rainforests and flow out to sea. Both the Atlantic and Pacific are fed by spring waters which originate at the highest points of Huayhuash. Verdant valleys are dotted with an abundance of lofty peaks. At first, they are overwhelming, even intimidating, for the hiker. They loom all around you as you hike for days on end. Yet after just a single day, they’ll become your main source of inspiration. Alongside your travel friends, the mountains of Huayhuash will be your most constant companions and the most photogenic of muses. You’ll come home with 1,000 photographs of them, and you’ll still be convinced that no photo could ever do the place true justice. And you’d be quite right. The change in landscapes and close encounters with the endemic wildlife are amazing inclusions, as is the contact with the few lucky communities who call this place home. Sometimes, it’s also the little treasures which impress on our memories the most. Camping for days on end, you’ll be immersed in nature, soaking up the colours of perfect sunsets and sunrises. From the quiet of man to the cacophony of nature, you’ll love the sound of the howling wind as much as the blissful silence; the kind of silence one can only ever experience when one sets off on a camping expedition far away from civilisation. Lima is the base hub of all exploratory tours in Huayhuash, whose springboard lies about 400km to the north of the capital. 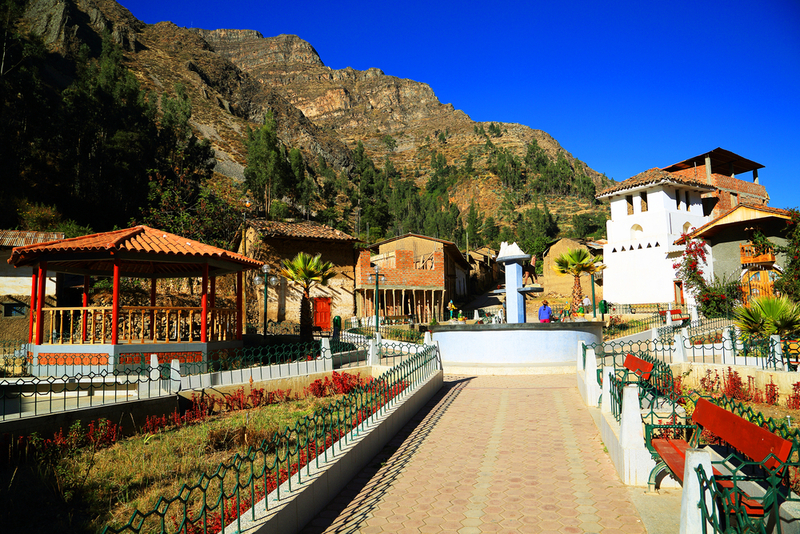 As a base town, Huaraz is just perfect, and is a charming little village which attracts avid hikers from every corner of the planet. Once you’re here, you’ll feel as far removed from a bustling capital city as you could ever hope to be. From Lima, you have the option of flying straight into Huaraz on fun 19-seaterpropellor planes (daily morning flights available) or enjoy a slower but enchanting 8-hour drive. The drive is actually superb, as the landscape changes slowly to reveal the dramatic beauty of this hidden corner of the greater Andes. Driving is also a particularly smart way to acclimatise to Huaraz’s altitude of just over 3,000m. Including an extra day to do nothing but catch your breath in Huaraz, is also a must. 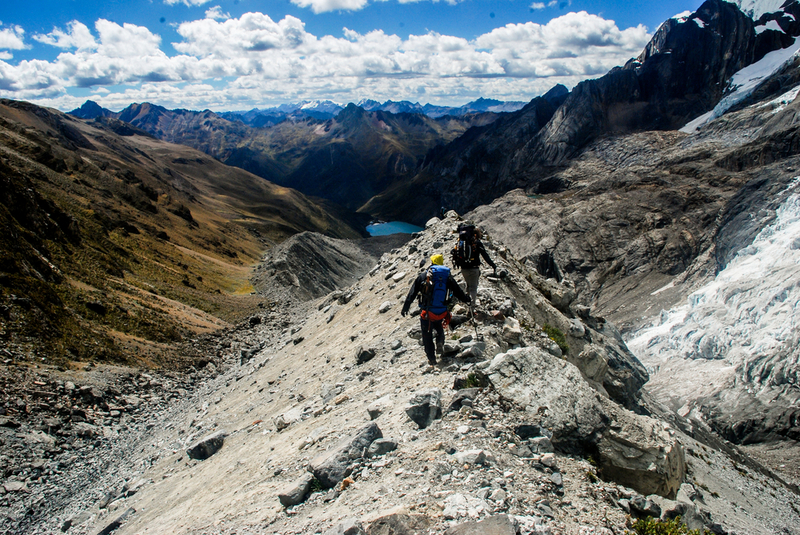 Hiking trips must be pre-organized and, as the Huayhuash National Reserve encompasses several local indigenous communities, permissions must be organised and access fees paid. Do note that fees are for the trails’ upkeep and the safeguarding of visitors, so do know that your money is well spent. The use of ‘beasts of burden’ such as donkeys and horses, can be arranged and is highly recommended. These are hard-core trails you’ll be tackling, so getting all the help you can get can mean the difference between completing one of the circuits successfully…and not. A week-long trek is about the minimum amount of time required to do Huayhuash any justice. The only prerequisite to this is that you should be already adjusted to the altitude. Do remember that four and five thousand metre trekking routes are serious business, so you should consider your health and well-being your top priority. All up, we’d recommend spending no less than 10 days in the region as a minimum, which would include a 5-day mini-trek. Of course, if you’re not restricted by time constraints, you’d be chuffed to know you could spend months here, trek daily, and still find new trails to explore. The Classic Huayhuash Circuit is a 12-day adventure which covers some 120km, trailing at an altitude of between 3,000 and 5,000m. This is renowned as one of the world’s premier trekking circuits and a regular contender in all alpine trekkers’ bucket-lists. The circuit makes a loop at the base of the Huayhuash Mountain range and crosses several high-altitude passes, at least 6 glacial lakes, verdant gorges and the kind of spectacular scenery that’s difficult to describe. Better roads and trails nowadays mean you can do the trek in even less time than in previous years. But why on earth would anyone want to rush through this paradise? If you’re a devoted mountaineer then you’d know that there is never a perfect time to hike at 5,000m. However, there is a dry time in Huayhuash, which is as close to perfection as you can get. Visiting the high Andes between May and September means that skies are clear and trails open, although night-time temps can plummet to well below -10 degrees Celsius. June and July are also high season months for visits to Peru’s more famous sites – like Machu Picchu and Lake Titicaca, so consider combining destinations to create a comprehensive itinerary which will gift you a taste of everything this amazing country has to offer. Here are Chimu Adventures, we thrive on organising bespoke adventure tours for discerning clients who wish to get way off the beaten tourist path in South America. 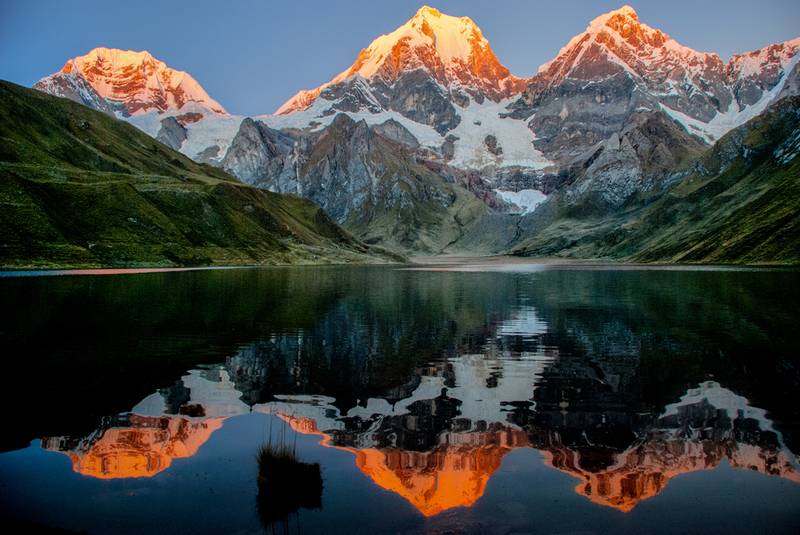 We’ll help you get lost in the immense beauty of Huayhuash…and promise to find you again, and bring you home. Deal? Contact us by phone or email and let us take care of the rest.